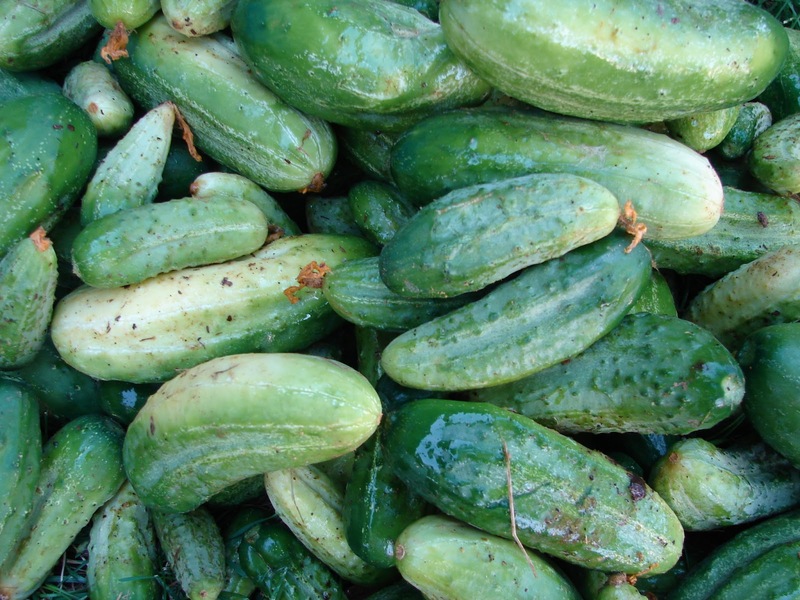 New Utah Gardener: When Can I Plant Cucumbers In Utah? When Can I Plant Cucumbers In Utah? Cucumbers are tender vegetable plants and they cannot be planted until all danger of frost gone. This is usually around the middle to the end of May in Utah. Here is a post I wrote about frost dates. And here is a post I wrote about vegetable planting - some general guidelines for timing, etc. Hopefully this will help you avoid some unnecessary problems (plant death) during spring planting. It's difficult , I know, for gardeners to restrain themselves from planting too early. It's such a wonderful time of the year and planning and planting the vegetables is so fun. And the nurseries are loaded with tons of plants. The whole thing is irresistible. We just need to make sure the right time has arrived! Home grown pickling cucumbers! Cucumbers grow well in Utah!